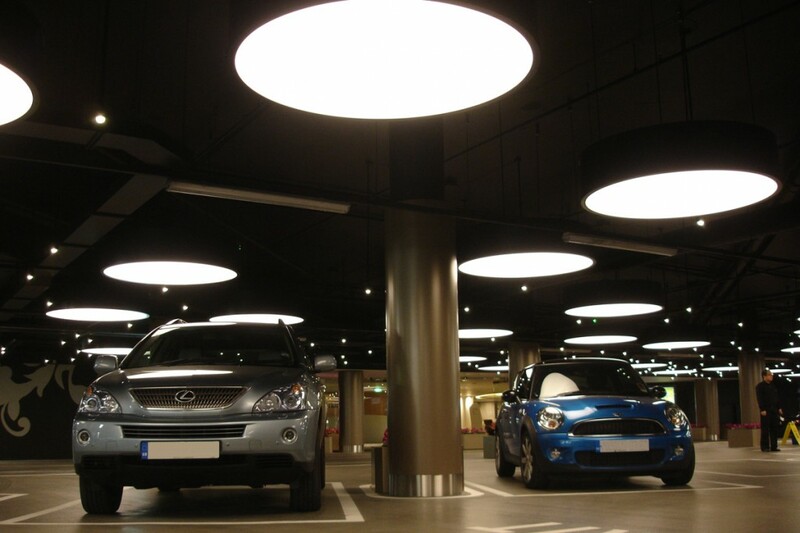 The VIP valet area was to have a ceiling that resembled the night sky, creating a softer atmosphere whilst achieving the required light levels for a car park. 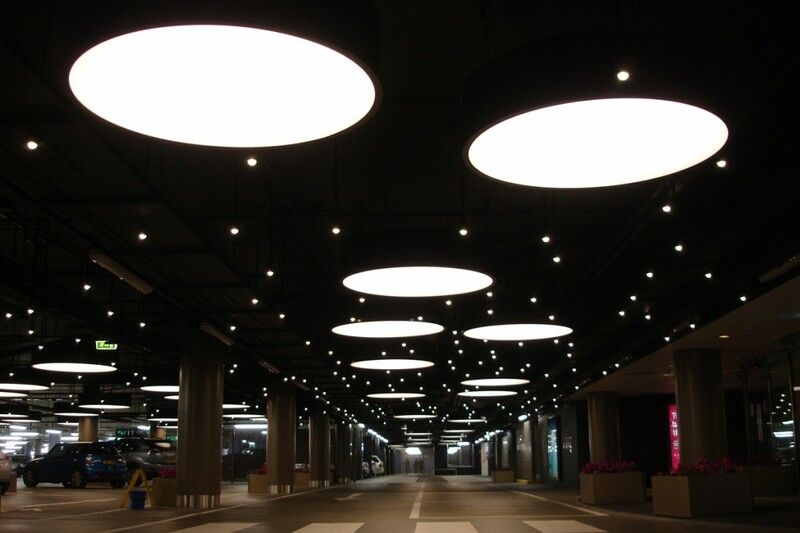 into developed a lighting scheme with a mixture of luminaires designed to resemble the stars and moon. 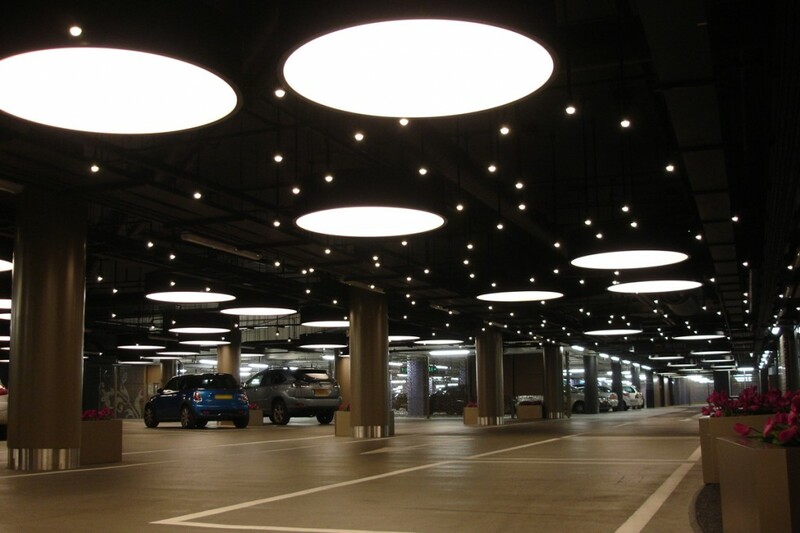 The larger circular lights provided the required light level for a car park and smaller star lights formed a random array of stars. 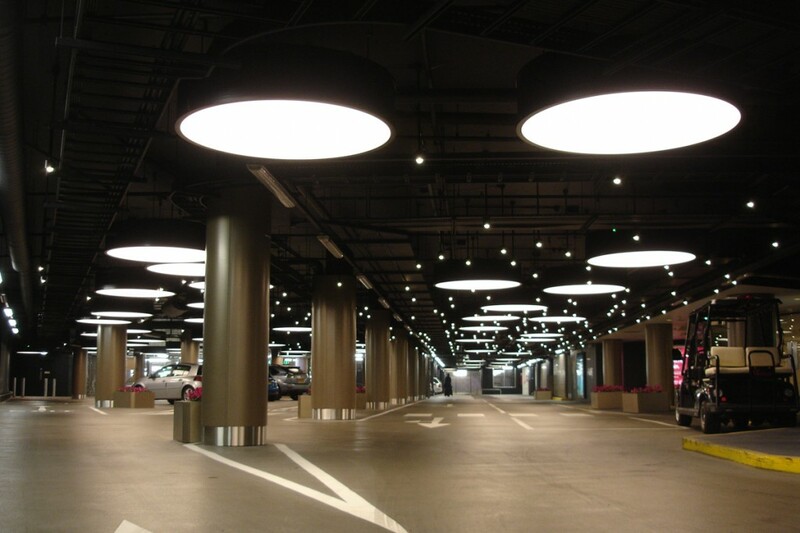 A soft and stunning lighting effect has been achieved. 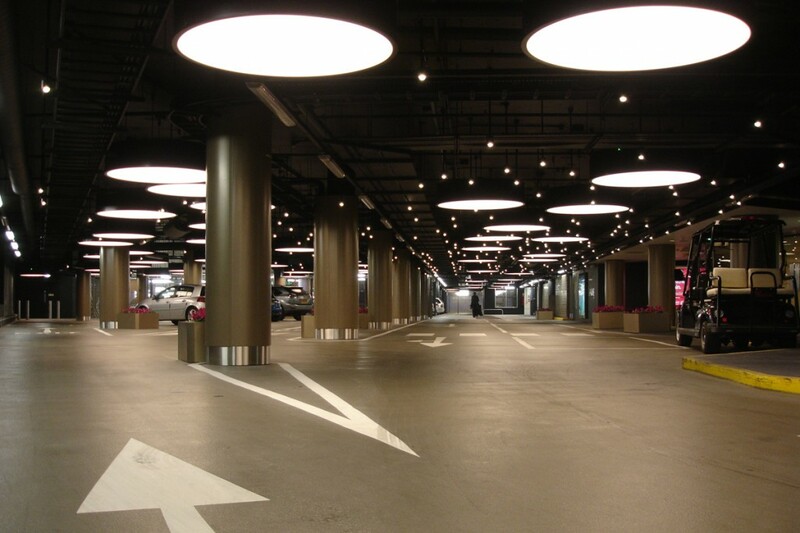 There is a definitive distinction between the VIP valet area and the rest of the car park, and the random layout of stars and moons helps break-up the uniform layout of the car park.